Introducing Hose Hero, the world’s toughest gardening hose. 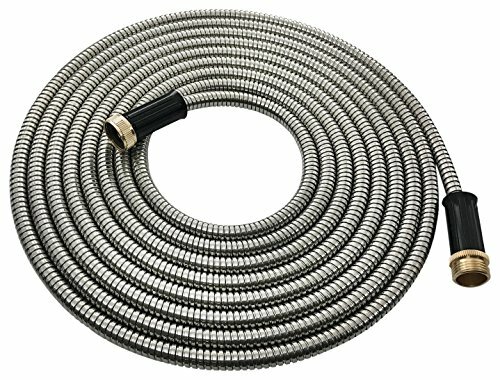 Made from ultra-durable SmartSteel™, Hose Hero will never burst, kink, or tangle. The secret is in Hose Hero’s heavy-duty construction. A flexible rubber hose on the inside, with a strong SmartSteel™ outer shell to protect it. It’s virtually indestructible! Hose Hero is not a cheap disposable hose that will only last one season. Hose Hero is a tough tool that can easily handle any watering job. Take yours home today! If you have any questions about this product by Novel Brands, contact us by completing and submitting the form below. If you are looking for a specif part number, please include it with your message.